If Mitt Romney's most pressing consideration in selecting a running mate is to find someone who can expand his appeal among independents or a critical demographic that remains up for grabs, several candidates would likely fit the bill better than Mike Huckabee. But if the former Massachusetts governor instead concludes that his right flank is not as secure as it needs to be, Huckabee may be among his best options. The winner of the 2008 Iowa caucuses remains one of the most popular and well-recognized conservatives nationwide, and his decision not to launch a second presidential run removed what might have been Romney’s toughest competitor on the road to the Republican nomination. But chief among the pro-Huckabee arguments made by many former aides and close confidants is that he could be an instant cure for the presumptive nominee’s lingering problems within his party’s base -- a concern that his Boston-based campaign may be underestimating. 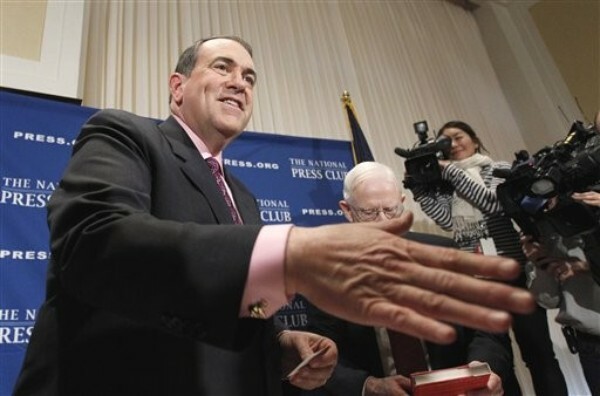 Through his best-selling books, paid speaking engagements, and contract with FOX News, where he hosts the most popular weekend news program on cable television, Huckabee has secured a significant influence as well as a comfortable lifestyle that was widely believed to be the reason he declined to launch a second presidential run last year. But Campbell professed not to have any doubt that the former two-term governor would jump at an opportunity to serve at the national level, if asked to do so. When asked on FOX News about the possibility of becoming Romney’s running mate last month, Huckabee gave a boilerplate non-denial of interest and reverentially suggested that Marco Rubio would be a better choice for Romney. “I haven’t gotten a call and I doubt I will, so I just merrily go about doing my business,” he said. Former members of Huckabee’s inner political circle, however, are far less coy in making the case for him.